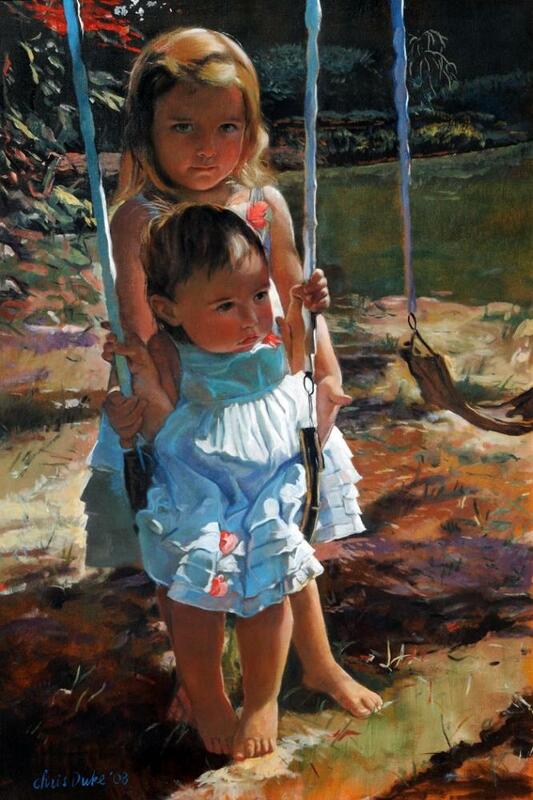 Painting these little girls was a delight. The mystery within Jenna’s gaze is compelling here. She is a thinker. Their grandmother loved how Madison still has her wonderfully chubby baby legs, while Jenna is becoming a slim young lady. She and the grandfather hung many of my small paint sketches in their dining room. The parents and grandparents wanted Madison and Jenna each to have a painting to take with them into adult life. It is a lovely idea. This painting will belong to Jenna.